Matudnila.com - A Cebu Events Blog: How to get iPhone 4S from Globe the way you want it to be! Home Latest Technology How to get iPhone 4S from Globe the way you want it to be! How to get iPhone 4S from Globe the way you want it to be! 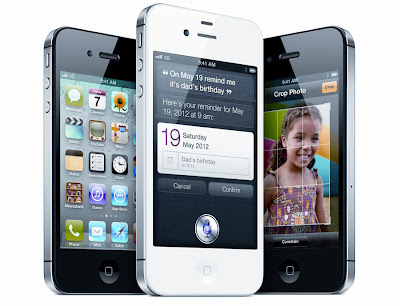 There are many ways how you can own your new iPhone 4S from Globe Telecom. Before running down the options how you can get the best iPhone yet from Apple Mobile Devices, know why you deserve an iPhone 4S now. Apple iPhone 4S is the first iPhone from iPone lineup to officially launch with the SIRI Natural language commands and dictation. This iPhone model now runs on Dual-core A5 chip, 8MP Camera with PowerVR SGX543MP2 GPU, Software version iOS 5 and iCloud Services. How to get iPhone 4S from Globe the way you want it to be. Exclusive Trade-in for Existing iPhone Models - iPhone users who want to upgrade their Apple devices to new iPhone 4S. Globe-issued iPhone 3G, iPhone 3GS and iPhone 4 in good working condition can trade-in their units at a specified trade-in value, that could a discount for qualified purchases or availments of iPhone 4S at designated Globe stores and launch venues on December 16, 2011. iPhone 4S trade-in applies for all existing prepaid and postpaid subscribers of Globe. 20% OFF on an iPhone 4S Case - Discount available until December 31 only from Globe. Apple iPhone 4S free Games and Application from Globe - Free applications from games, social networking, lifestyle, to entertainment and sports. Text REWARDS APP to 4438 on your iPhone 4S to get free apps. Globe has an exclusive app for its subscribers using the iPhone 4S who want to check their balance is also available for free, just text IPHONE to 2222 for free to download the app. Order Globe iPhone 4S online - To place an order, log on to at http://iphone4s.globe.com.ph You can have it picked up at all Globe stores nationwide or you can choose to have their iPhone 4s delivered by calling the Globe iPhone 4S Customer Sales hotline at 730-1010. Now you got it. Get your iPhone 4S from Globe now! 0 comments: on "How to get iPhone 4S from Globe the way you want it to be!"